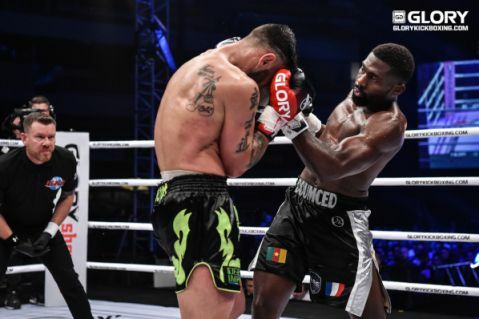 The staredowns between Mohammed ‘The Destroyer’ Jaraya (64-6, 36 KO’s) and former welterweight champion Murthel ‘The Predator’ Groenhart (67-23-3, 38 KO’s) have been heated ahead of their upcoming GLORY 59 clash this Saturday night, according to Glorykickboxing’s John O’Regan who interviewed Jaraya. Facing the former champion in your second fight in this weight class is a bold move. What made you want this fight? 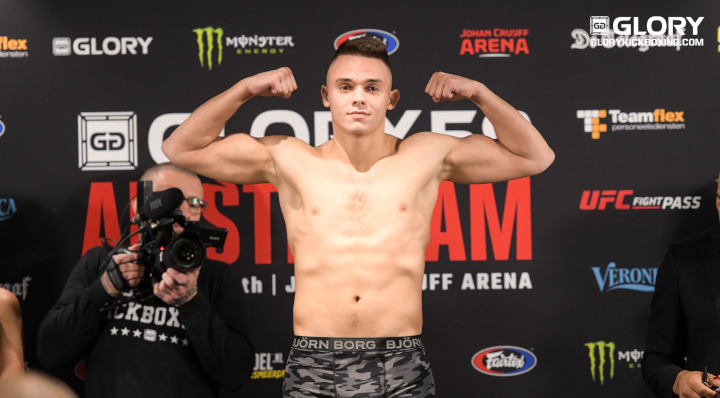 Murthel gets me closer to the title shot. If I pick some other opponent who isn’t as high ranked it doesn’t get me up the rankings as quick. 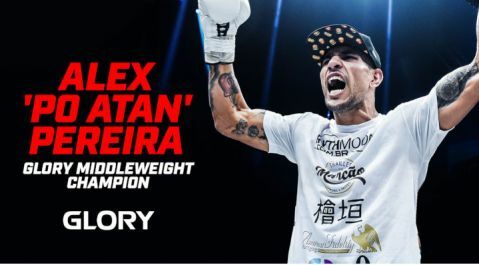 I want to be like Badr Hari – I want to go in at the top level and only fight the best guys. It’s a good fight, hard fight. I don’t know yet if it’s my toughest fight but he is definitely the most experienced fighter I have faced. He said that at welterweight you are “a fat little Teletubbie” and won’t be able to handle his height and reach advantage. Ha, that’s nice, he’s very funny. There’s only three centimeters between us. He’s a bit longer reach but in all my fights I am the shorter guy anyway so that’s not a problem for me. There’s a lot of tension between you before this fight but will you be friends after it? No we won’t be friends afterward. I hate him. The same as I hate all my opponents. Even if I knock them out, see them a year later, I still don’t like them. People compare you to Badr Hari, partly because you are Dutch-Moroccan like him but mostly because you have a similar demeanor. Is he an inspiration of yours? Badr is an inspiration. THE inspiration actually, the only one. 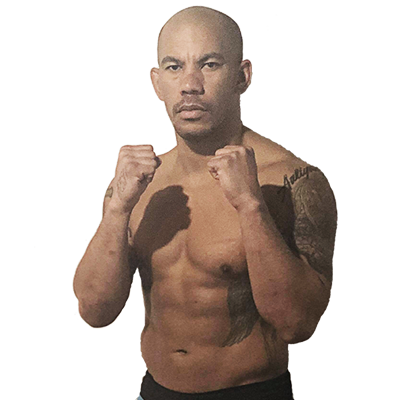 Rico is very good as well but if you look at his fights he knocked out of most of his opponents and that’s more my kind of thing. It’s not that he is moroccan. It’s the numbers. 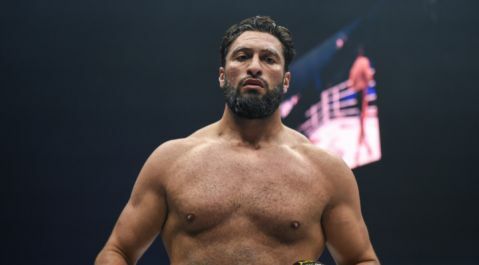 He knocked everyone out, big names, in the best time of heavyweight kickboxing. So I want to get my numbers up like his. So it’s not just about becoming a champion for you, it’s about becoming a legend? Do you talk to Badr at all? We talk quite a lot via Instagram but not so much for this fight because Murthel is from his team. What is it that motivates you to take on challenges like this? Is it about proving something to yourself? Its not about proving something just to myself. It’s to prove to my friends, my fans, everyone who watches GLORY, all the Moroccans, all the Dutch. Everyone. And also this gave me something to focus on, kept me on the straight path. The other guys from my neighborhood, a lot of them aren’t working, they are having to make money other ways or whatever. I think without kickboxing I could have gone down another path, for sure. And finally: who do you see as the biggest threat in your new weight class? Me; the man in the mirror.